Follow 11W from Rogersville, TN to Mooresburg, TN. Turn left past the first gas station and go down the Church House Point gravel Road to the lake shore and follow it around the bend. 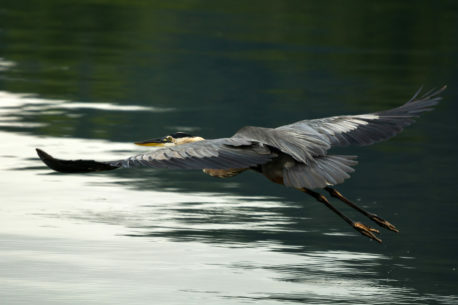 A Great Blue Heron flies away from the shore at Cherokee Lake in Mooresburg, TN.